Combined with Ayurveda, Yoga and Meditation this 7 to 28 days rejuvenating stress relief package takes place at Nidra Ayurveda located at Adams Wood House - homestay in Kochi, Kerala - India. It includes Homestay accomodation with veg food and treatments based on ayurveda. i will be happy to take them to my GURU abhiram chaitanya who taught me yoga and meditation. Here you can learn and experience the authentic way of doing ayurveda massage ( abhyanga / uzhichil ) and shiro abhyanga ( head massage ) in a traditional way. Our therapsit will teach you different techniques used in these massages. This is a hands-on workshop, so be prepared to enjoy the treatment too. Each lesson is for two people. Solo session also available on request. 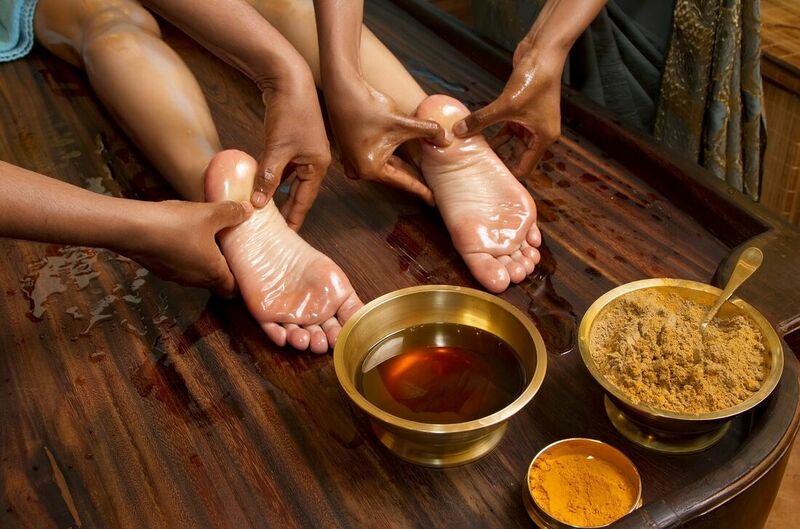 Lesson starts with introduction on type of ayurveda massages, the techniques, products and oils used for treatments. After theory class practical lesson starts with one guest who will receive the treatment and the other guest will be watch and learn how massage is performed. Same will be repeated with other person. Both will get a chance to receive a proper massage during this course. Duration of this class will be 2 hrs. Note : Photograph and video in any course is strictly prohibited.